Welcome to Crystal Laundromat! We take pride in providing you with a well-lit, clean, safe and comfortable environment to clean those dirty clothes. 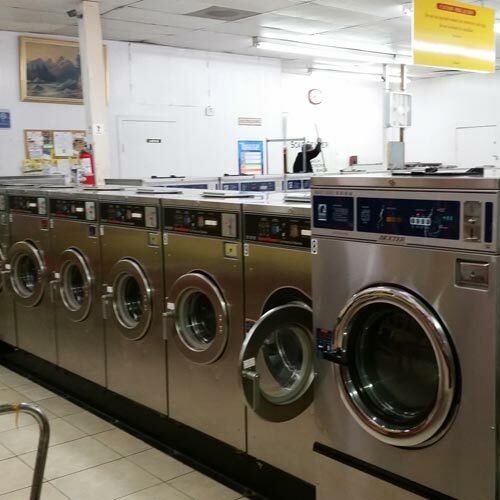 We also offer very large washers and dryers for your larger loads or household items such as comforters, bedspreads, mattress pads, sleeping bags and rugs at our laundromat OR if you like we will do your laundry for you with our drop off/Fluff and Fold laundry service. 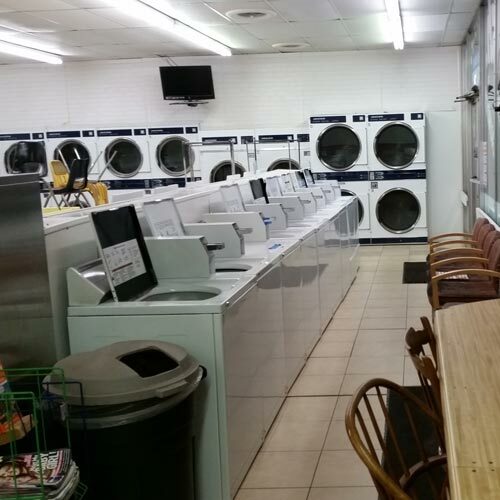 We are a coin operated laundry facility, with an attendant on duty 7 days per week. Our manager speaks Spanish as well as English. We have lots of parking for your convenience. two large flat screen TVs, plenty of seating, clean environment, and front row parking. Friendly employees are available from 7am to 7pm.